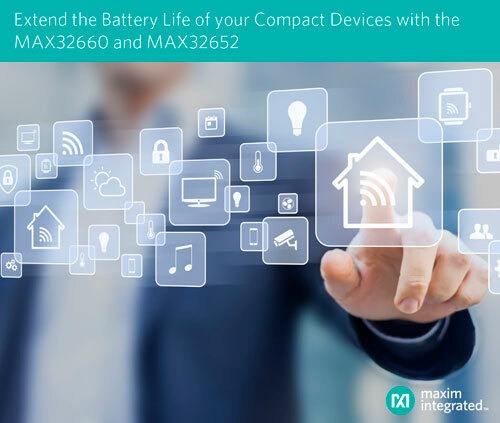 Designers of internet of things (IoT) sensors, environmental sensors, smartwatches, medical/preventive health wearables, and other size-constrained devices can now increase battery life and functionality using the ultra-low power MAX32660 and MAX32652 microcontrollers from Maxim Integrated Products, Inc. (NASDAQ: MXIM). These microcontrollers (MCUs) are based on the Arm® Cortex®-M4 with FPU processor and provide designers the means to develop advanced applications under restrictive power constraints. Maxim’s family of DARWIN MCUs combine our wearable-grade power technology with the biggest embedded memories in their class and some of the most advanced embedded security in the world. Memory, size, power consumption, and processing power are critical features for engineers designing more complex algorithms for smarter IoT applications. Existing solutions today offer two extremes – they either have decent power consumption but limited processing and memory capabilities, or they have higher power consumption with more powerful processors and more memory. The MAX32660 offers designers a sweet spot, giving them access to enough memory to run some advanced algorithms and manage sensors (256KB flash and 96KB SRAM). They also offer excellent power performance (down to 50 µW/MHz), impressively small size (1.6mm x 1.6mm in WLP package), and a cost-effective price point. Engineers can now build more intelligent sensors and systems that are smaller and lower in cost, while also providing a longer battery life. As IoT devices become more intelligent, they start requiring more memory and additional embedded processors which can each be very expensive and power hungry. 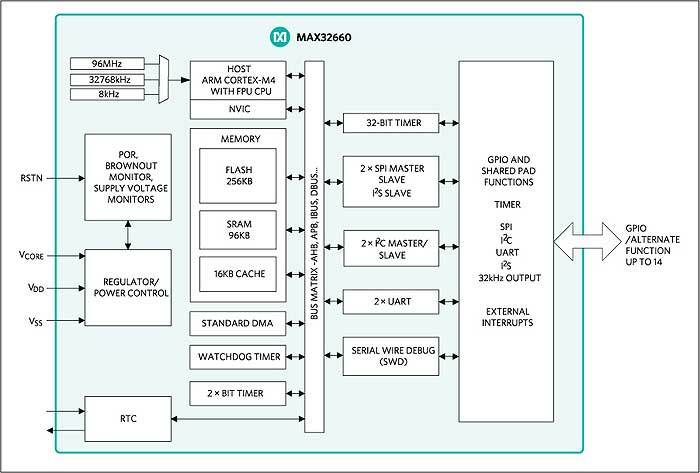 The MAX32652 offers an alternative for designers who can benefit from the low power consumption of an embedded microcontroller with the capabilities of a higher powered applications processor. With 3MB flash and 1MB SRAM integrated on-chip and running up to 120 MHz, the MAX32652 offers a highly-integrated solution for IoT devices that strive to do more processing and provide more intelligence. Integrated high-speed peripherals such as high-speed USB 2.0, secure digital (SD) card controller, a thin-film transistor (TFT) display controller, and a complete security engine position the MAX32652 as the low-power brain for advanced IoT devices. 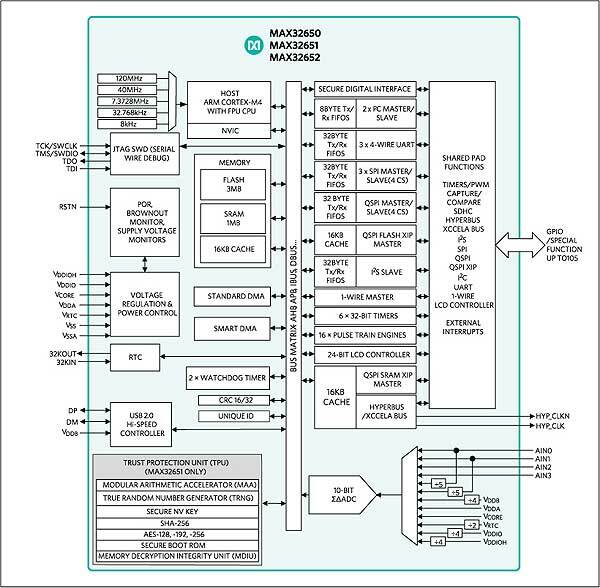 With the added capability to run from external memories over HyperBus or XcellaBus, the MAX32652 can be designed to do even more tomorrow, providing designers a future-proof memory architecture and anticipating the increasing demands of smart devices.